Pinball Medic - New Replacement Williams, Bally, Data East, Stern and Gottlieb Pinball Electronic Circuit Boards, Pinball Machine Power Supply Boards, Solenoid Driver and Flipper Button, fliptronic boards. (11-08-17) We can no longer sell new circuit boards. New boards currently on the market have not been added. We are trying to find more sources and more types of new pinball replacement board sets to offer to the coin-op community and will be selling them again only if board demand and distributor prices improve. 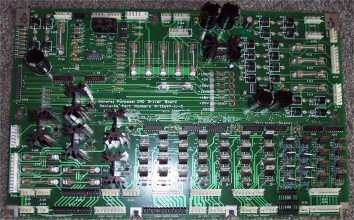 The general rule for Bally, Stern (early Stern board versions only, no sound boards are being manufactured), Data East and Gottlieb pinball games is every board in a pinball machine can now be replaced by a new and improved (redesigned) circuit board. The only exception to this rule is no one has been able to remanufacture sound boards because most use custom system specific chips that have not been remanufactured. 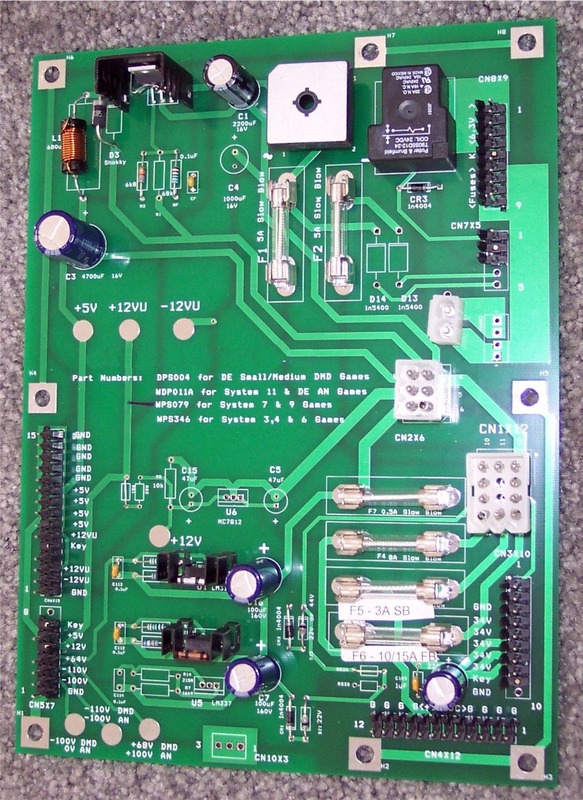 A new board eliminates the need for board repair, enhances the original board's specs with better voltage regulation, current supply/source and rids the boards of original design faults. Wiring harness connectors are the only part not replaced by a new replacement pinball circuit board. No game wiring modifications are needed to use any of these new replacement boards! - All boards are newly redesigned reproductions of the original Pinball printed circuit board sets and are not manufactured by the game's OEM. - They are direct 'drop-in' replacements and do not require game, board mounting or wiring harness modifications. - All boards feature a new updated circuit design using all modern components to eliminate old original board 'engineering' flaws and on board connector corrosion without sacrificing compatibility with the original board sets. 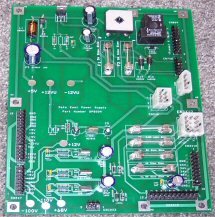 - All new power supply boards include modern low voltage drop out (LDO) regulator technology for superior voltage regulation and heat reduction. The large heat sinks on the original power supply boards have been eliminated. No part is needed off the original power supply board including any wired extended connectors. - WPC & WPC-S Solenoid Driver and Power Supply board features in-rush current limiting, soft start power supplies (no more voltage spikes when the game is first switched on) and high current capacity direct logic level driven MOSFET solenoid coil driver transistors. The solenoid driver transistors can handle 25 Amps instead of the original 10 Amps and offer lower internal "on resistance" giving each coil more pull in power. - These great quality new pinball circuit boards are priced low enough to possibly make board repair extinct or unnecessary. Require only a screw driver to install. USPS bulk Priority is what is usually used to ship all boards in the U.S.A.
(2-12-14) The order form link has been removed. The only boards we can supply are for our repair and refurbishment games. Williams, Bally, Gottlieb and Data East Pinball System Board Index. Additional boards have come on the market and will be added during our restocking. None of these additional boards are currently in stock. 'Board Identification by Game' charts are available on our Pinball Circuit Board Identification page. Gottlieb System 3 MPU Board, Gottlieb System 80 MPU Board. 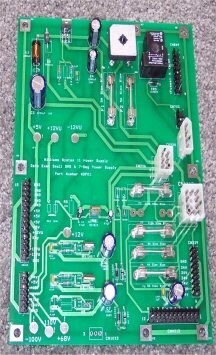 Combination Williams System 3,4 and 6 MPU and Driver Board - Replaces both the MPU and Solenoid Driver boards with one large board. 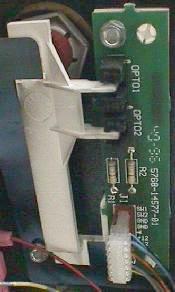 Systems 3-6 have different pin outs to the 7 & 9 power supply board and are not compatible with each other. They are completely compatible with the original power supply board. All boards on this page do not require any wiring harness changes and are drop in compatible with the original boards they replace. Bally / Williams Type 2 Flipper Button O. C. BOARD Price $10 WB2FBB Out of stock. Board shipping weight is less then a 1/2 pound. New LED replacement displays are coming soon. Gottlieb part number: B-19694 Price $79 Part Number GOTTPS80 Out of stock. 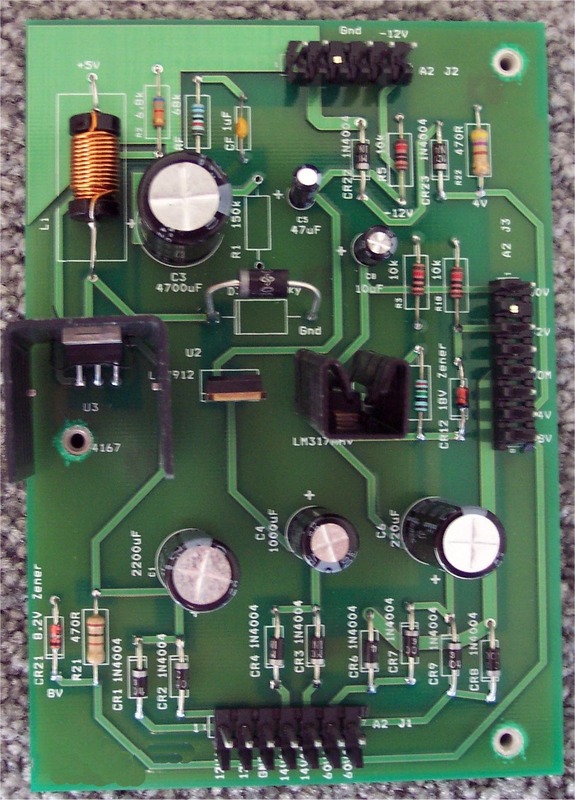 (2-12-14) We have found a new supplier of both the 3-4 and the 7-9 power supply boards. 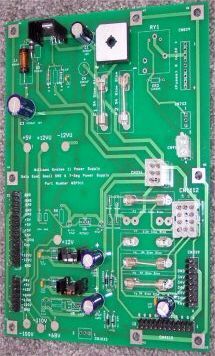 These new boards are manufactured with much higher specifications then the boards we used to sell. 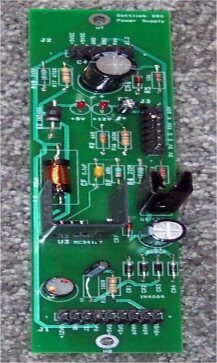 We recommend anyone replacing the early model Williams power supply boards to use these new replacements over the circuit boards we now have posted on this page. 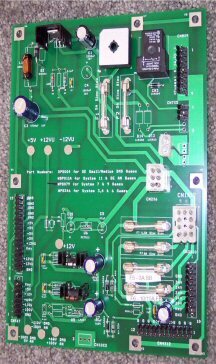 We will be updating this section very soon with more details about these newly discovered better replacement power supply boards. Board Price $79 WDEPS11-A Out of stock. Williams pinball system 3,4 & 6 power supply board Williams pinball system 7 & 9 power supply board Williams pinball system 6 power supply installed. 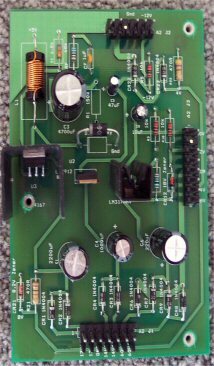 Note (1): A Williams system 7 through 9 type power supply board can not replace a system 3,4 or 6 pinball power supply/Voltage regulator board. 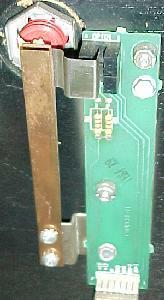 The two boards have the same basic power supply components, but have different connector wiring. A system 7 MPU/CPU board can replace a 3,4,6 and 7 MPU board without any game wiring modifications. We are not responsible for shipping an incorrect system board if the wrong board was ordered. We will double check to see if the correct board was ordered based on game title. 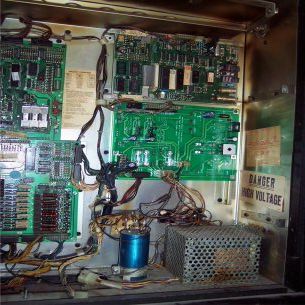 All power supplies on this page use a new voltage regulator design, the large heat sinks on the original power supply boards have been eliminated. No part is needed off the original power supply board and no wiring harness modifications are required to use any of these boards in your game. Note: Both Gottlieb System 1 and System 80 original power supplies all have circuit board design and componet specification defects. They will over heat and stop working or provide too much voltage to sensitive electronics over time. Replacing the original power supply and ground plains is mandatory to keep these games functioning. 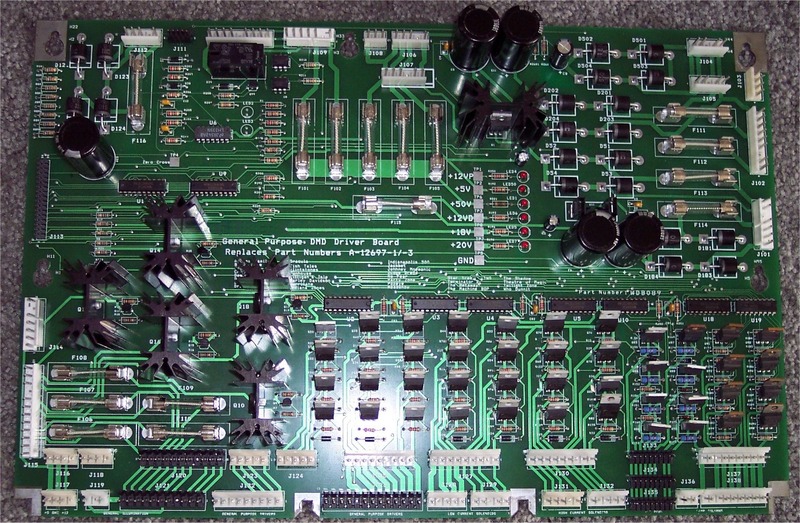 Data East Power Supply board for only Dot Matrix Display Pinball Machines. connector (center far right hand side) on this new replacement power supply board. No game wiring harness modifications are required to use this new board inside a pinball game. Note: Gottlieb System 1 Power Supplies all have design defects and will over heat and stop working or provide too much voltage to the sensitive electronics over time. Replacing the original power supply is mandatory to keep these game functioning. Williams System WPC(89) & WPC-S Power Supply and Solenoid Driver board. Test points have been added for all voltages generated on this board. start power supplies and high current capacity logic level driven MOSFET solenoid coil driver transistors. Note: The old original board is a major cause of game resets due to connector, voltage regulator obsolesce and capacitor age. Shipping will be $9 up to two boards shipped to the same address. Shipping on more then two boards will depend on the number of boards ordered. 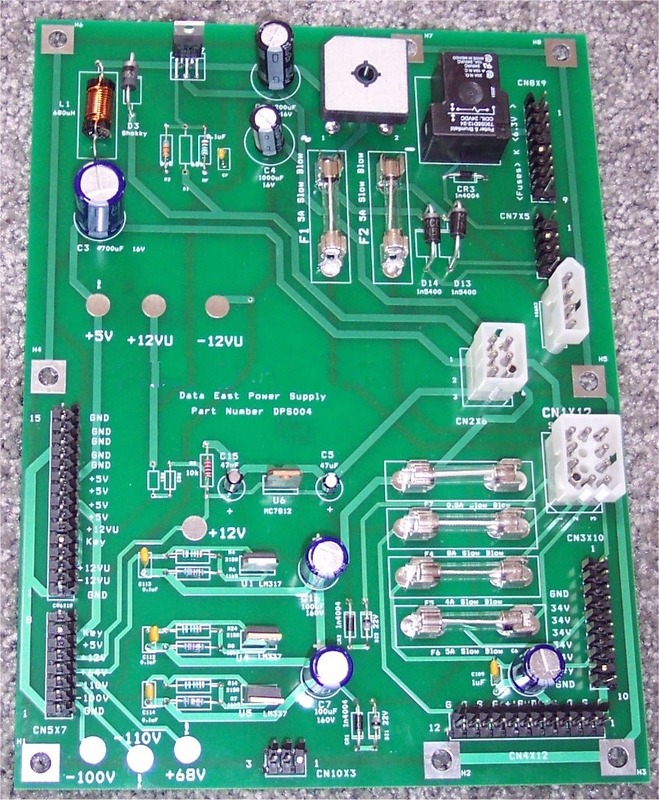 Type 2 boards are NOT interchangeable with the Type 1 boards. Addams Family (Note: Type 2 board was used on Addams Family "Gold" games.) Creature From the Black Lagoon, Doctor Who, Dracula, Fish Tales, Twilight Zone, Whitewater. 'Board Identification by Game' charts are available on the Pinball Board Identification page. 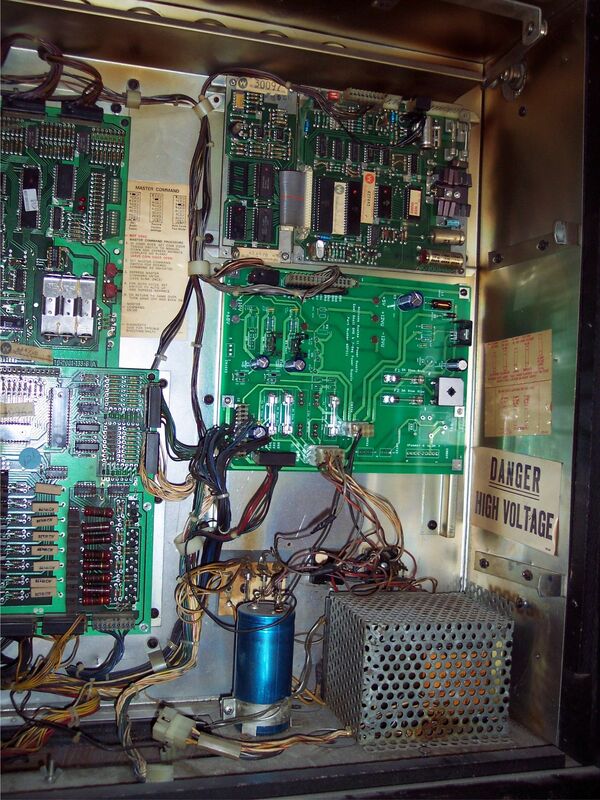 Also See: Pinball Game ROM Programming and Pinball Board Repair pages.